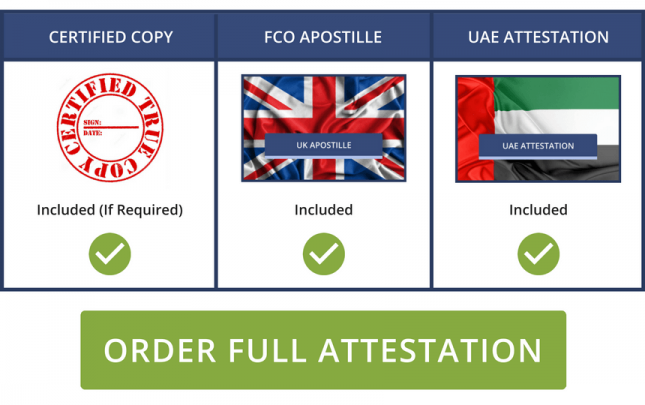 Do you have a UK or Irish Document that you need to attest for the UAE? We've got you covered. If your document hasn't been stamped by either the Foreign & Commonwealth Office (FCO) or the Department of Foreign Affairs (DFA - for Irish Documents), please select the option below. If your document has been stamped by either the FCO or the DFA, you will only require the embassy process. In this case, please select the option below. 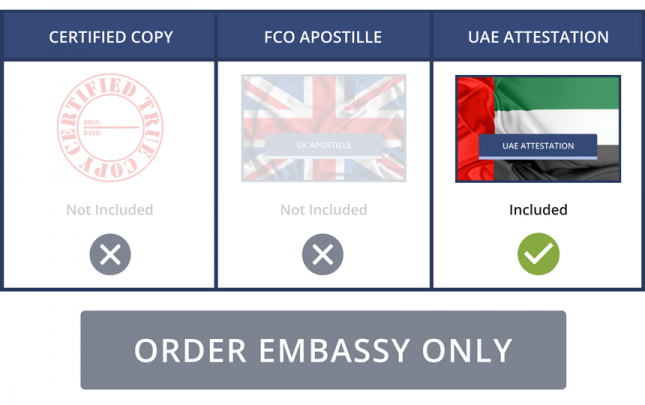 This is the one most people need, but if your documents have already been through the first two steps we also offer an Embassy Only option, where we fulfil only the final step. We've helped thousands of clients to have their UK and Irish documents attested, and haven't once had a document rejected in the UAE. In fact, we're so confident in our service that we offer a 100% acceptance guarantee. That's right. If for any reason your documents are rejected we will refund your order in full. 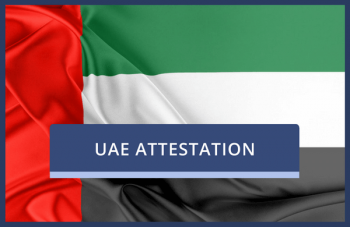 Using our UAE Embassy attestation service gives you complete peace-of-mind and ensures that you get what you require in a timescale to suit your needs. Our friendly and expert team have years of experience and deal with the UAE Embassy in London on a daily basis, so they're fully aware of the steps required to make sure your certification goes smoothly. If you have questions we have a specialist team ready to take your call NOW on +44 (0) 330 088 1142. Have all the information you need? Then feel free to start ordering now. If not, we're happy to help. Click here to Request a Quote. Fill in your details on the form and we'll get back to you as quickly as possible, usually within one working hour. We look forward to hearing from you! Please be aware that due to unforeseen circumstances, Irish documents are taking longer to legalise. Please allow up to one extra week for the attestation of an Irish document. NOTE: Please be aware that ACCA Certificates require the work to be done on the original document, as a certified copy cannot be made.